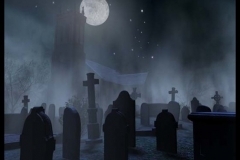 PRIVATE HAUNTED ROCHESTER TROLLEY TOURS! ABOARD THE TROLLEY OF DOOM! Many find Rochester a bit strange during the day; but after the sun goes down, the restless souls of the city’s frightful past begin to stir. You will hear tales that have been all but forgotten as you travel to eerie graveyards and past some of the most historic — and haunted — buildings in our famed city, along with houses that hold on to the secrets of their former inhabitants. Experience how ruthless gangsters, tornadoes and floods, and gruesome murders — stories both tragic and chilling — have left their indelible marks on Rochester’s spirit world, past and present. Is Rochester one of the most under-known haunted cities in the Midwest? The jury’s still out on that … but this tour lets you judge for yourself! 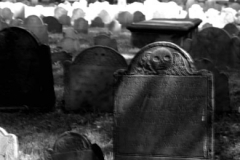 Join your grave-robber Ghost Host guide aboard the “Trolley of Doom” for an evening ride through Rochester’s darker sides. 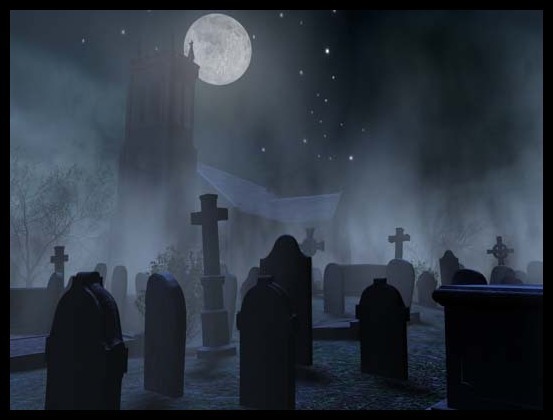 The Haunted Rochester Trolley Tour offers guests an evening adventure exploring the city’s strange and macabre past — with tales of grave-robbing, unsolved murder, mystery and mayhem as you travel past or visit many of the city’s most haunted, most tragic, and sacred sites. Step aboard the “Trolley of Doom” and let your Ghost Host guide you on unforgettable adventure into the unknown … if you dare! As a bonus, our Ghost Host, who has accompanied Rochester’s lead paranormal investigator to many sites, will demonstrate ghost-hunting equipment and techniques, while performing an actual mini-investigation at one of our sites! You’ll hear some great firsthand ghost-hunting accounts, and maybe, just maybe … experience a portal, feel the energy or a hear voice, from the other side…. Board the “Trolley of Doom,” and experience all things shadowy and sinister, while having some scary fun! Highlights of the Haunted Rochester Trolley Tour! This tour will be priced by the person for groups of 15 or more! Your group selects the date, start time, length, and pickup location! Standard Haunted Rochester Trolley Tour duration is 2.5 to 3 hours which includes several off-trolley sites and a live ghost-hunting demonstration! Due to the off-trolley walking involved, participants must sign a Waiver of Liability prior to taking this tour. Tours will be conducted and narrated both on and off the trolley at select spots. Come dressed for the weather, wear comfortable shoes as there will be some walking, and BRING A FLASHLIGHT! There will be a restroom break about midway through the tour!